Combination sets are the biggest play structures you've ever seen! For those customers who have sufficient space and big swingset dreams, we are proud to present these fantastic Combination Sets! The concept is simple. Connecting bridges or crawl tubes can link almost any number of Premium Pine gyms, transforming them into one massive world of play you will have to see to believe! 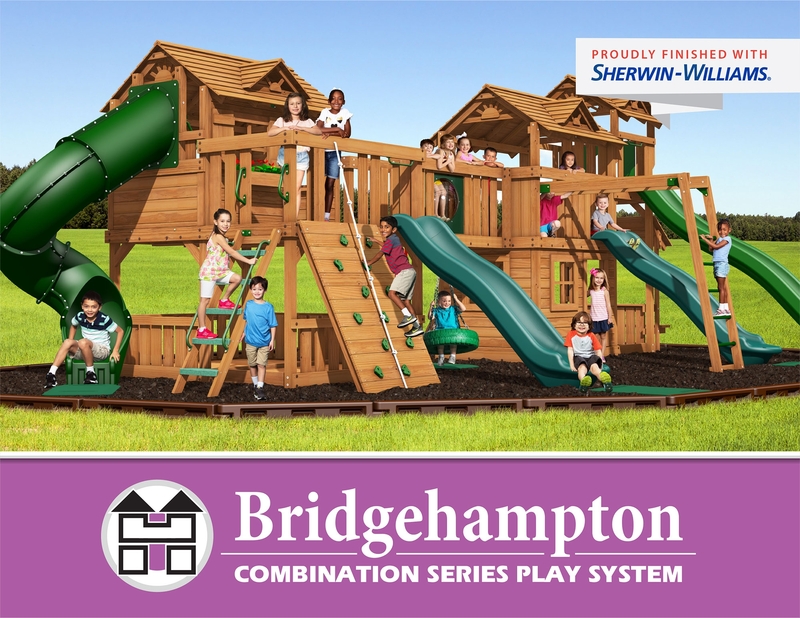 The Bridgehampton series is comprised of six predesigned combination play structures which have been created to show the versatility and excitement of this line. Here you will find towers from our Williamsburg, Lexington, Ridgefield, Yorktown and Norfolk lines as well as just about every possible accessory we sell! Rock walls, ice-cream stands, clubhouses, extra playdecks, and more slides than you'll know what to do with, they are all here!